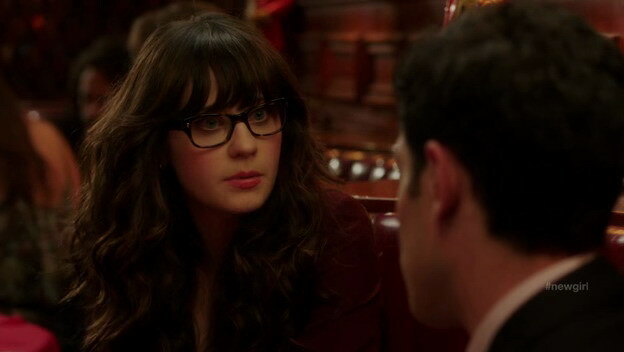 What brand of glasses is Zooey wearing in New Girl? If you don’t want to read the rest of the blog post, here’s your answer: Wacks by Oliver Peoples. New Girl is an American sit-com, which premiered on Fox on 20th September this year and was scheduled for 13 episodes. But after only two episodes and very good ratings the network decided to extend the contract to 24 episodes. The star of the show is Zooey Deschanel, a 31-year old actress and occasional singer (in the duet She & Him). New Girl is about Jessica “Jess” Day (Zooey), an ador(k)able and cheerful woman in her late 20s who is trying to get over the breakup with her boyfriend after he cheated on her. Eventually she moves in with three guys: Nick, a bartender; Schmidt, a wannabe ladies man and the douche bag of the trio; and Winston, a former basketball player. Feminine design inspired by the masculine styles worn by Buddy Holly and Roy Orbison. Handcrafted of polished beveled acetate, this retro optical frame features dual plaques on the frame front and substantial temples. Includes the Oliver Peoples logo plaque laminated at the temple end. Zooey Deschanel is the unofficial poster child for hip and quirky twenty-something white girls, who have shaggy bangs and tattoos of fruit on their ankles and a closet full of brightly colored, vintage cardigans. Unfortunately for these girls, however, Zooey Deschanel also serves as an object of lust for their boyfriends, sensitive neurotics who wear thick glasses, brew their own organic beer, and self-identify as feminists. If that’s true then Zooey is the perfect person to address the specific target group, which would be very interested in buying new pair of glasses. Wacks glasses! Brands & Films got an exclusive background story on Wacks glasses. 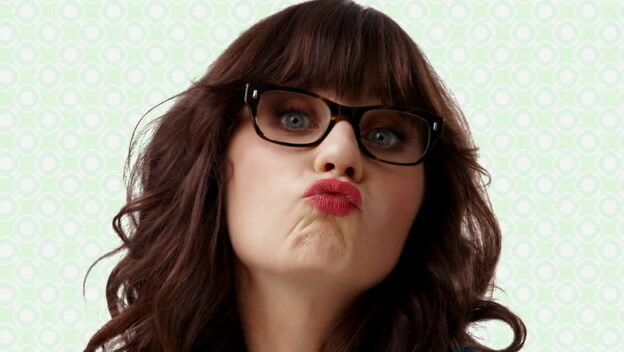 Kari Alder, Communications Coordinator and Social Media Manager at Oliver Peoples, said that Wacks in New Girl is not product placement. Wacks is just Zooey’s personal frame and the stylist for the show approved her character to wear it. Oliver Peoples is of course very flattered and really excited that she is wearing them. I love the retro, 50’s inspired frames, and the Wacks is perfect for women! Finally, a frame that has all the style of the hip glasses for the men, in a shape and size that compliments women’s (sometimes) smaller faces. I have seen all the various colors of the Wacks and definately think Cocobolo is a gorgeous color for darker-haired women. If you are fair and blonde, like me, may I suggest Sandalwood.